Adventure Bike Rider is full to the brim of information on biking and travelling. Buy a single copy or subscription to Adventure Bike Rider magazine. It will help you to plan that perfect get away and use up any available spare time you may have. Aswell as helping you with travel it also keeps you upto date with the news and reviews on the latest biking equipment. If motocycles and adventures are for you, this will help to complete that dream of travelling on two wheels across the globe. 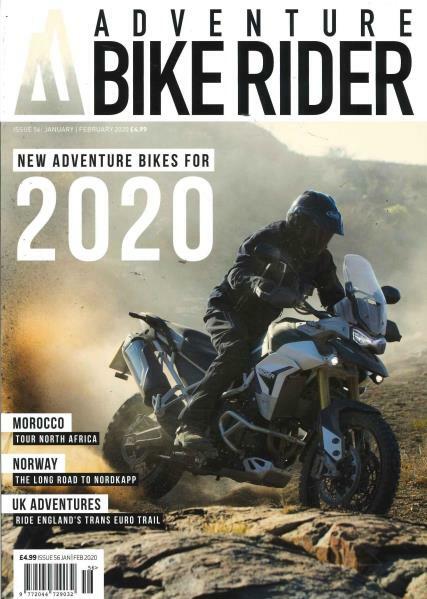 Adventure Bike Rider magazine is filled with features, travel guides, stunning images and articles of riders on their travels.